We had just finished up afternoon tea on the Granite Camp deck, when Kate Neill, (Camp Manager at Granite) called us to come and see an interesting encounter taking place in the camp garden. 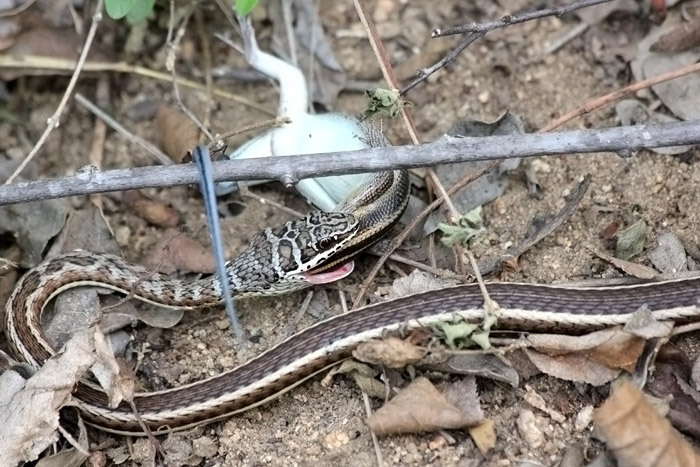 We were greeted by the sight of a Striped Bellied Sand Snake in the process of swallowing a Rainbow Skink. 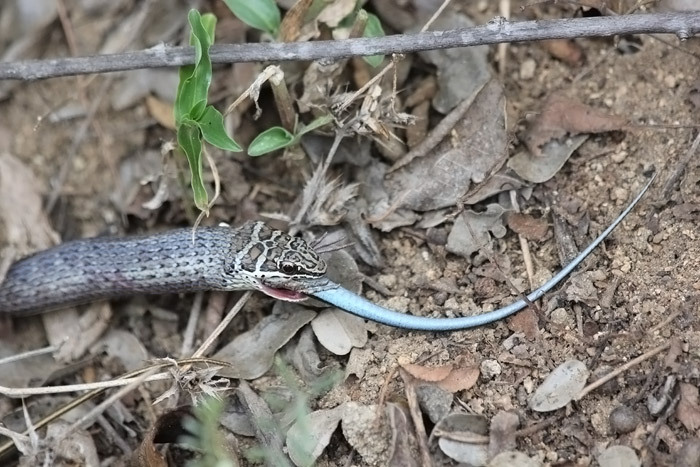 A relatively common snake in the area and extremely fast moving, it poses no danger to humans, although is mildly venomous-and this venom is enough to be lethal for the skink. 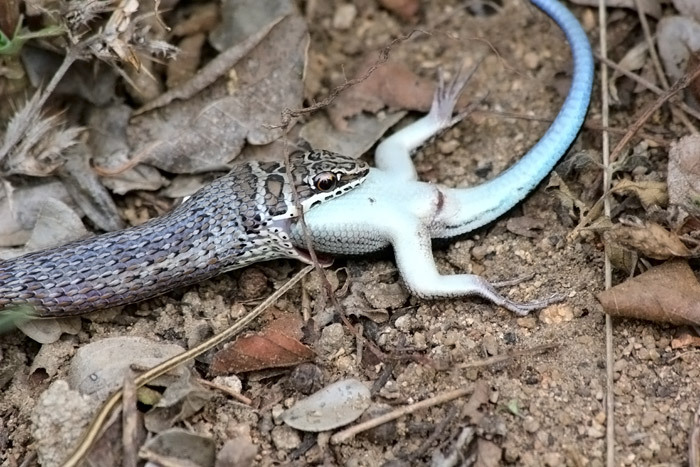 With the bulk of the skink swallowed, the last little bit goes down quite quickly and easily. It was a fascinating to watch, and even those who were slightly apprehensive about getting so close to a snake, were huddled around the scene watching with interest. On the following morning we decided to do a walk back to camp from game drive. On walking through Fluffy’s Clearing I heard the piercing call of a Blacksmith Lapwing. These birds nest on the ground, so any creature, including ourselves, get told in no uncertain terms that we are not welcome anywhere near the nest in case we either accidentally crush their eggs or, if we were a predator, eat them. 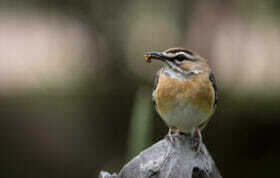 However we soon noted that they weren’t concerned with us and had their attention focussed on something else. On closer inspection, we found something which I certainly was not expecting. A Rhombic Egg Eater was in the process of swallowing one of the three lapwing eggs! 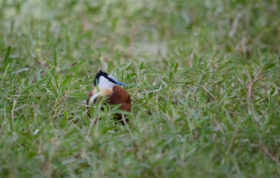 A Rhombic Egg Eater begins the long process of swallowing a Blacksmith Lapwing Egg. 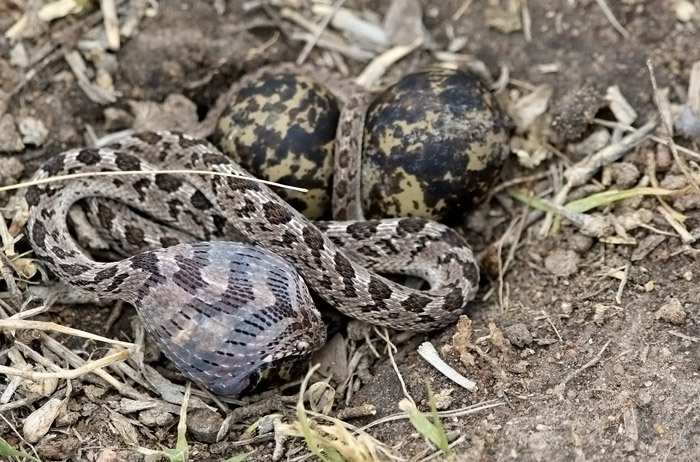 This snake eats only eggs, and has an amazing ability to stretch the elastic skin of it’s neck and jaws around seemingly impossibly large eggs, and this was no exception. The lining of the mouth has small, parallel ridges that are similar in structure to a human fingerprint that allow it to grip the shell better. 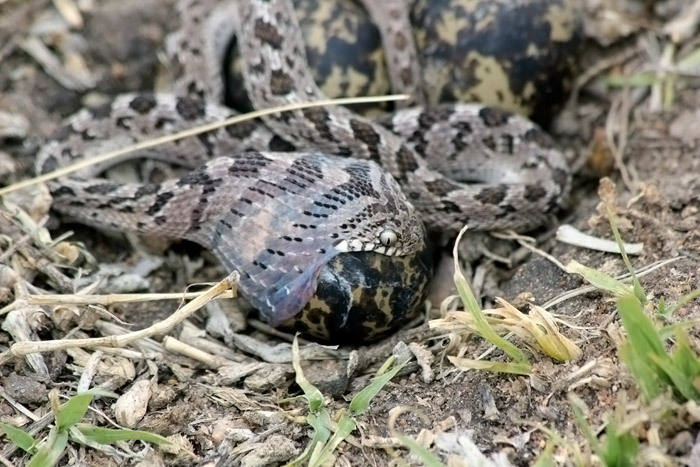 It is in no way venomous but its coloration has evolved to mimic that of the Rhombic Night Adder (which is venomous) in order to deter potential predators, such as jackal or mongoose. After watching it for some time, we decided to leave it in peace and continue on our walk. They have what are called “gulag” teeth, which are essentially pieces of bone which extend from the backbone into the throat. 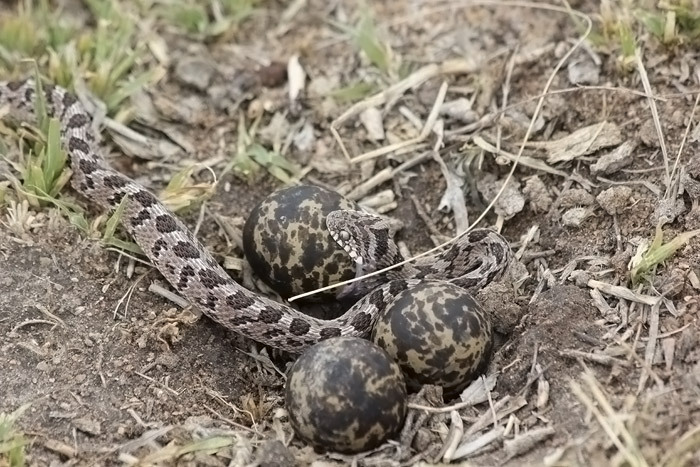 Once the egg went a little further down, these would have broken through the shell allowing the snake to swallow the contents and then regurgitate the eggshell. Although a common snake, they are usually nocturnal and very rarely seen-a simple sighting would have been special, but the photos above depict a scene which is surely once in a lifetime. There are usually so many other “bigger” things competing for your attention on safari, particularly if you are a first time visitor. Witnessing scenes such as those above serve to remind us of the amazing diversity here, and of the sometimes less glamourous battles of life and death that take place all around us on a daily basis-all you need to do is look a little closer! Thats amazing. Well written blog and fantastic shooting. You would have to agree the snake looks pretty damn happy in that last shot. what an incredibly exciting experience! i never stop being amazed that the snakes can actually swallow these “huge” morsels. While staying at Doc’s place last week we came across a Black mamba being mobbed by two Drongos while on drive. It was exhilerating to see the frustration of the Mamba trying to lunge for the drongos and not catching them – at least while we were watching! What a terrific example of nature working perfectly. Thank you for this view of her at work. Wonderful!!! note at the bottom jaw, in the center the little hole. 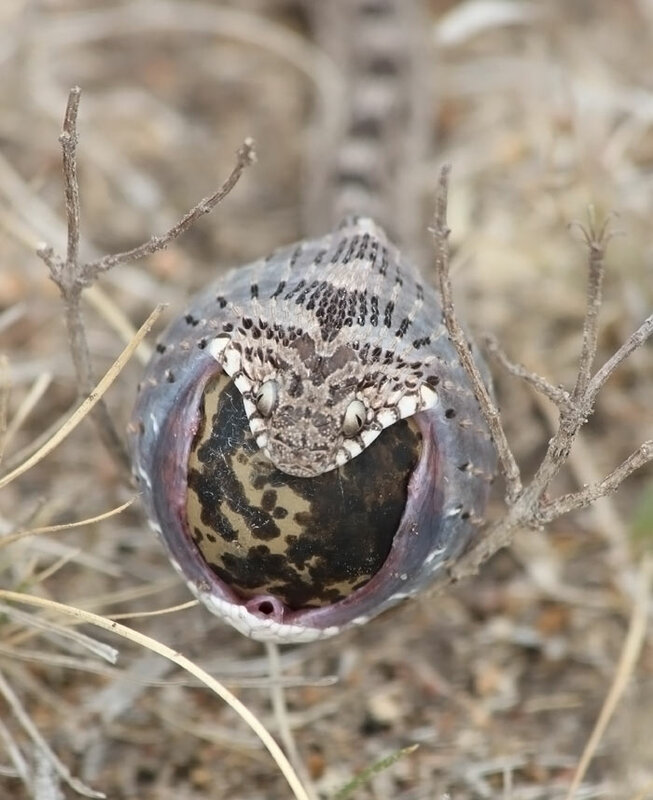 this is the airway that the snake ‘extends’ so it can breath whilst swallowing that egg. truly amazing. 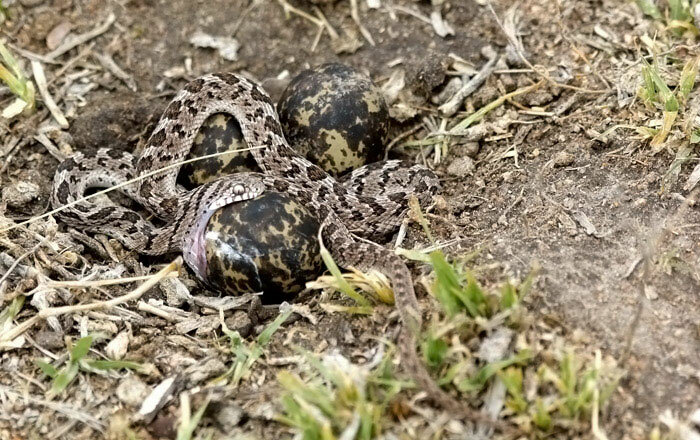 I’ve seen many snakes swallow prey, but never seen an egg swallowed!! AMAZING. Is that little hole where the tongue comes out – to send messages to the organ of Jacobson? Hi Penny, it is the Organ of Jacobson on snakes. Being terrified of snakes, I held my breath reading the blog!!! Brilliant photos, quite exceptional. 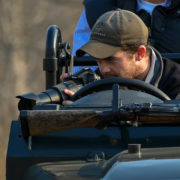 I do hope everyone is voting for Londolozi on the South African 2011 Blog Awards – it is closing soon. 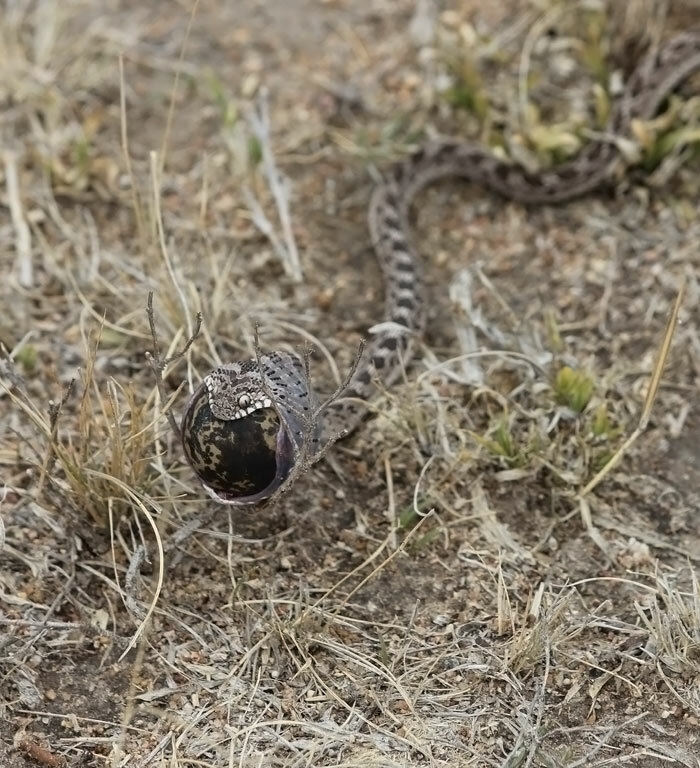 David, these are amazing sightings and such great pics by all even, though snakes are scary to many! Thank goodness for another ‘good news’ story about snakes. 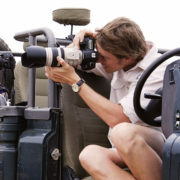 I was privileged to visit Londolozi about 12 years ago as as guest, specifically to talk to visitors and rangers about snakes. Whilst there, we caught and returned to the bush, a Mozambique spitting cobra that had taken up a spot in the office, and a boomslang which had made its way into our shower. 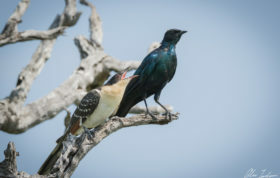 We were privileged also to witness some blue eared starlings mobbing a mamba that had eaten their kids! A sighting of a snake in the wild, is worth a fortune – it’s a very rare game viewing experience – they’re one animal you can’t call up. Keep up the great work. Great to see the pictures up so everyone can enjoy them! Thanks again, David, for a truly spectacular sighting. Two fantastic sightings, I’d be thrilled to have experienced them!